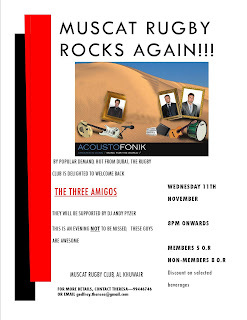 This Wednesday (11th November) night, back by popular demand (seeing as last time it was a sell-out) are the Three Amigos band from Dubai. Members are RO 5, and guests are RO 8. It's a good night out - so why not come on down?